After a long and illustrious career as an educator in the classroom, an ETT Executive Officer, and, finally, as ETT President, John Smith is retiring. 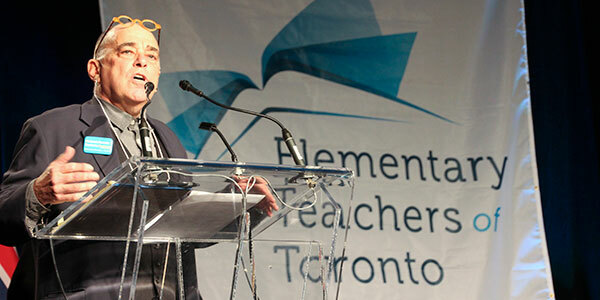 Help us celebrate John’s dedication and years of tireless work on behalf of the ETT membership and the labour movement. Use the form below to send John your retirement well wishes and to share your thoughts and memories. Please be advised that we may use the submitted messages on the ETT website and/or in ETT communications. If you wish to consent, please check the appropriate box in the submission form. I consent to my message being used in ETT communications and/or on the ETT website.